Have you ever thought what exactly does convenience mean to a customer? Although the meaning of convenience has changed with the passage of time, it still matters more than anything else to someone who wants the best for h imself in terms of service. Moreover, we live in a world where everything is just a click away. Since the companies across the globe continue to grow both in number and size, every service provider targets the experience that is delivered to a customer. Consequently, organizations expect their business partners to do the same.t of this situation, customers look for value addition and expect you to be present at every point of contact they access. This is the reason even the slightest inefficiency is completely out of the question. today’s times is far more than it was a few years back. In addition, the presence of a myriad of enterprises in every business segment gives more liberty to the customers. They have an ample number of options to choose from. Since they are no longer dependent on a handful of service providers, they dictate the terms of the business strategies that business owners implement. Amidst the many other trends that have emerged as a result of the increasing influence of technology and globalization, outsourcing call center services is something that has acquired the form of a relatively stable phenomenon. With the thickness of profit margins tending to near zero, companies can do it all but focus on peripheral business activities like customer support. In addition, enterprises are constantly struggling to maintain a balance between their income and expenditure. No matter how high the revenue of a company is, it would never mind cost reduction and savings. The biggest challenge in front of any service provider is fulfilling the requirements of its customers. As the number of service channels continues to increase with the advancement of technology, a business owner needs to prove that it is excellent. This also implies that a company needs to integrate various channels of service to present an integrated experience. In other words, the focus of enterprises is shifting from individual service to a consolidated platform that enables multichannel support at the same time. 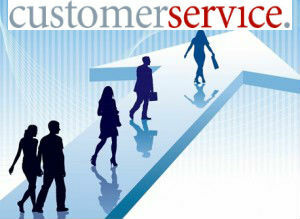 Contact centers focus specifically on customer care support services and look after every aspect of this service. Once restricted to a toll-free number or conventional phone answering, the services offered by these companies today encompass everything from software development to data analysis. You can concentrate on your core services while your customer service partner looks after your customers with utmost dedication. At the end of the day, your inability to offer round-the-clock customer assistance has a direct impact on your customer base. Presently, every customer is surrounded by a plethora of options. In other words, it also means that your customer would hardly wait for you if you are unable to do what he wants you to do for him. Despite the fact that every organization operating in the business world targets the global audience, its customer care service standard and quality vary according to the composition of its customer base. As an example, a company whose majority of customers are from its home country would opt for a domestic call center. Likewise, an organization with service providers in various countries of the world would look for a contact center that offers multilingual service support. To cut the long story short, a business owner should understand that its service affiliate should be an enterprise that works in tandem with its business objectives. Technology has truly opened the doors to new and better modes of providing services. This is why every service provider aims to conquer the world and is not satisfied by establishing its foothold in its domestic market.